ISTANBUL — The past 10 years have seen Turkey continue to develop as a country. As many of Turkey's various markets continue to expand, one of the fastest among them is the mobile market. Whereas less than a decade ago a cellphone was considered a luxury item, a walk along any main road in the country will show just how large this market has become. Not only will you find a mobile shop in any direction you look, but every newspaper, billboard and television commercial seems to relate to the mobile market through either social media hashtags, QR codes or SMS raffle drawings. Smartphones were once an extravagance in Turkey and mobile Internet plans cost a fortune. But now you can find used iPhones at the flea market in front of the historic gates of Istanbul University and a two gigabyte Internet package that will run you over TL 50 in the U.S. will only cost you TL 10-15. Smartphones were once an extravagance in Turkey and mobile Internet plans cost a fortune. But now you can find used iPhones at the flea market in front of the historic gates of Istanbul University and a two gigabyte Internet package that will run you over TL 50 in the U.S. will only cost you TL 10-15. Smartphones have become a normal part of daily life. Today's Turks can't go one day without checking into their favorite cafés on Foursquare, updating their Facebook statuses, sharing their selfies on Instagram or posting their thoughts on Twitter. 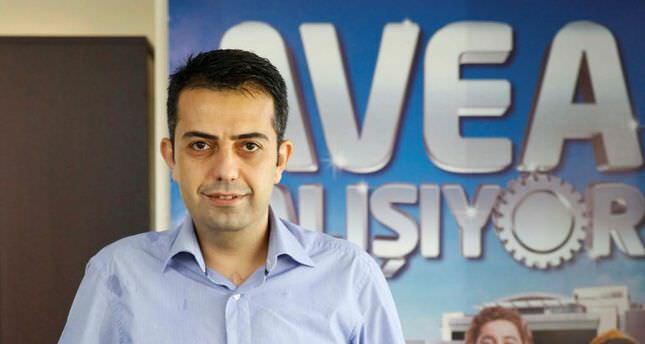 Daily Sabah spoke to Mobile Connectivity Director of Avea (one of Turkey's three biggest mobile operators) Baran Yurdagül to further understand the mass influx in Turkey's mobile market. "The smartphone and tablet market is a very fast growing market. Today 84 percent of the phones sold in Turkey are smartphones. The smartphone market was around 8.8 million units in 2013 with a 62 percent increase in 2012. Although we saw the negative impact of the credit card installment prohibition [33 percent decrease from Jan. 14 to Feb. 14], the smartphone market will continue to grow thanks to GSM operator contracted sales. By means of this growth, Avea has shown a tremendous growth over the last two years. Growth in smartphone sales was better than market growth. With that growth rate, Avea is the leading GSM operator in smartphone penetration for the last 10 quarters by 37 percent. The tablet market has also experienced exponential growth. In 2013 tablet sales have grown by nearly six times," said Yurdagül. "By the end of Q4'13, there were nearly 20 million smartphone customers in Turkey. Turkey's average smartphone penetration is about 30 percent where Avea leads the market with 37 percent," he continued. "A large portion of smartphone customers [more than 16 million at Avea alone] use mobile Internet through their smartphones. "At Avea, approximately 15 percent of total mobile consumption is used to access social media websites. Within Avea, youth segment penetration, data tariffs and plans such as Social Mini, unlimited social media packs has a huge effect on this consumption," he concluded. With Turkey's massive number of social media users from one mobile operator alone (these figures don't account for computer access or Turkey's two other main operators, Vodafone and Turkcell), these social media sites among others generate many millions of dollars in revenue from Turkey. Social media sites have become one of the most effective ways for companies to market their goods and services to the Turkish people. However, this form of social media marketing raises an ethical issue over taxation. As companies continue to pour millions of dollars into the coffers of these sites, they hold an advantage over their local marketing competitors by not paying taxes on the revenues they earn from their multi-million dollar endeavors. Turkish Prime Minister Recep Tayyip Erdoğan has been insistent in his stance that since these social networking sites operate out of Turkey, it is only correct that they abide by the Turkish state's taxation policies. As it stands, these social media giants hold an unfair advantage over Turkey's domestic marketing firms since they can directly pocket all earnings.